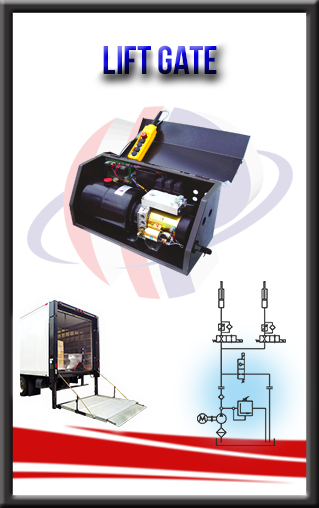 This power unit is used for lift gate applications. All in one system includes electric control as well. Power unit can be used for one single – one double acting cylinders or two single acting cylinders with changing special block.